Music superstar Nicki Minaj held her official Femme Fatal Tour after-party at Gallery Nightclub Las Vegas at Planet Hollywood Resort & Casino on Saturday, June 25, 2011. The self-proclaimed “Harajuku Barbie” was done up in true fashion, sporting curve-hugging leggings, a pink crop jacket and a bleach-blonde wig as she walked Gallery’s red carpet. 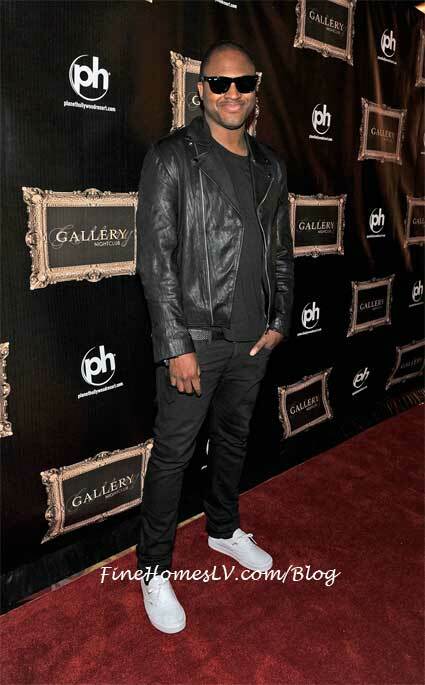 Also joining her on the carpet was singer Taio Cruz, looking great in a leather jacket and dark sunglasses. Before joining the party, the budding pop culture icon, Minaj indulged in a late night dinner at Sugar Factory American Brasserie at Paris Las Vegas hotel. The star enjoyed a shrimp cocktail, various pizzas, chicken bites, milk chocolate fondue and Sugar Factory’s signature Barbie milkshake. Gallery is a place where all the deepest fantasies can be explored from 10 p.m. until 4 a.m. Wednesday, Thursday, Friday and Saturday. For more information call 702-818-3700 or visit www.GalleryLV.com.